An alcohol stove is a great piece of gear to have. Whether for backpacking, bugging out, or an alternative cooking method for disaster preparedness, an alcohol stove is worth its weight in gold. Since prepping can get expensive quick, it’s always nice to save money by manufacturing what you can. 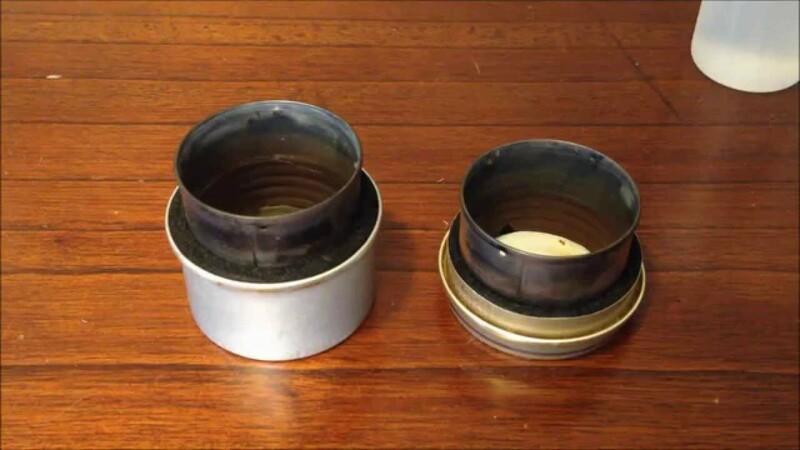 Here are some simple instructions for building a DIY alcohol stove from inexpensive materials you can easily get. Empty the cans of their contents and clean them out. Remove both the top and the bottom of the tomato paste can. Using tin snips, cut the tomato paste can off at the first ridge (the center of the can will have a series of ridges). Place can cut side down and check to see if it is level, if not cut the excess material off or file it down. Measure the depth of the cat food can from the bottom the top ridge, it should be about 1 3/8inches. Using a utility knife, cut a length of the carbon felt flame protector at this width. Wrap it around the tomato paste can and cut it off at this length. 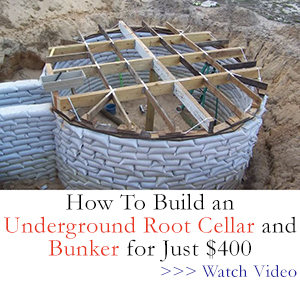 It should wrap around the tomato paste can snugly, and sit down in the cat food can without coming above the ridge. Drill or punch 2 small holes opposite each other on the top end of the tomato paste can, then drill or punch 4 small holes at the bottom end. The holes at the top are to release pressure that would build up during heating with a pot on top, the holes at the bottom are to allow the alcohol to soak into the carbon felt. Before using, add some fuel and burn the stove for about half an hour. This is because on its first use it will smoke a lot. Since the carbon felt is by far the most costly of all the materials involved, and it is only sold in sizes that will leave plenty left over, you might want to consider making more than one stove. This way you can heat more than one pot or pan at the same time. Do You Have What You Need to Survive the End?